Long-term discharge of turbid water from reservoirs after flood events is a major socioenvironmental problem in many countries, including Korea. 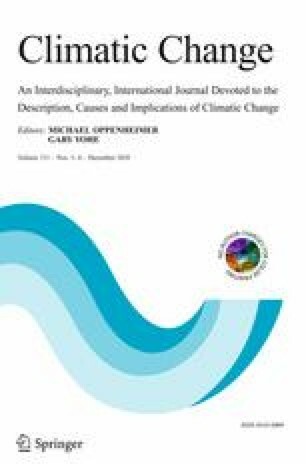 This study used a suite of mathematical models to simulate the fate of turbidity flows in the Soyanggang Reservoir in Korea, an important source of drinking water for the Seoul Capital Area, in response to extreme floods based on the Representative Concentration Pathway 4.5 climate scenario. It evaluated the effectiveness of the selective withdrawal facility (SWF), installed recently in the Soyanggang Reservoir to control persistent turbidity. Extreme floods with a maximum daily inflow rate greater than the historical maximum observed in 2006 were projected to occur four times in this century. The fate and transport of turbidity flows were highly influenced by both the thermal stability of the reservoir and the season in which the flood event occurred. Thus, SWF operations should consider the timing of extreme events (i.e., the imminence of the autumn turnover) to mitigate the impact of high turbidity on the water supply and downstream ecosystem. It was found to be ineffective under extreme events if these occurred in two consecutive years. Current reservoir operations, which rely heavily on the SWF, are likely to be inadequate to overcome the negative effects of extreme-turbidity events on reliably providing safe water supplies. Coping with the worst event expected to occur in the future would require additional countermeasures such as bypassing high-turbidity water. The online version of this article ( https://doi.org/10.1007/s10584-018-2322-z) contains supplementary material, which is available to authorized users. This work is supported by the Korea Agency for Infrastructure Technology Advancement (KAIA) grant funded by the Ministry of Land, Infrastructure and Transport (Grant 17AWMP-B083066-04).